Being an English-Aussie until now I didn’t know too much about Thanksgiving, other than it being an American tradition in November. Don’t hold this against me……Because this year two of my American-Aussie neighbours, Kate and Laura, have invited me to spend Thanksgiving with them and over 20 others. I’ve been told that we’ll be feasting our way from afternoon to evening. When I quizzed Kate on the Thanksgiving feast she told me that pumpkin pie is a very traditional dish, that’s been a part of the Thanksgiving table since 1623. I was surprised to discover then that pumpkin pie is sweet rather than savoury. “What’s your favourite pumpkin pie recipe?” I asked Kate. She spilled the beans and here I’m sharing it with you. Kate, like me, is a food magazine hoarder. Her recipe for “The Ultimate Pumpkin Pie” comes from the November 1993 special holiday edition of Bon Appétit magazine – and Kate still has a copy. She laughed when I told her I would’ve been 12 years old when she bought the magazine. Anyway moving on to the recipe. Set aside a couple of hours from start to finish to prepare and cook this pie. And note that you can make your pie one day in advance. I don’t photos of the pie itself yet – because Kate isn’t preparing it for a few more days. Pre-heat oven to 350F (175C) and blend the flour, sugar and butter in a food processor until the mixture resembles a course meal. Add the cream and continue to process until moist clumps form. Gather the dough into a ball, flatten to make a disc, wrap in plastic film and chill in the fridge for 15 minutes. Roll out the dough on a floured surface to make a 14 inch (35 cm) round. Then transfer the dough to a 9 inch (23cm) pie dish. Trim the overhang to 1 inch (2.5cm) and fold the overhang over. Make a cut in the edge of the crust at 1/2 inch intervals. Bend alternate edge pieces inwards and then freeze for 15 minutes. Line the crust with foil, pressing firmly, and bake in the oven for about 10 minutes until the sides have set. Then remove the foil and bake for another 10 minutes until the crust is golden brown. Once removed reduced the oven temperature to 325F (160C). Using a whisk mix the sugar, brown sugar, cornstarch, cinnamon, ginger and salt until no lumps remain. Spread the apricot preserves / jam over the crust and pour in the filling. Bake in the oven for around 55 minutes. You know it’s ready when the filling on the pie will be set at the edges (it puffs at the edges) and is ‘almost’ set in the middle. 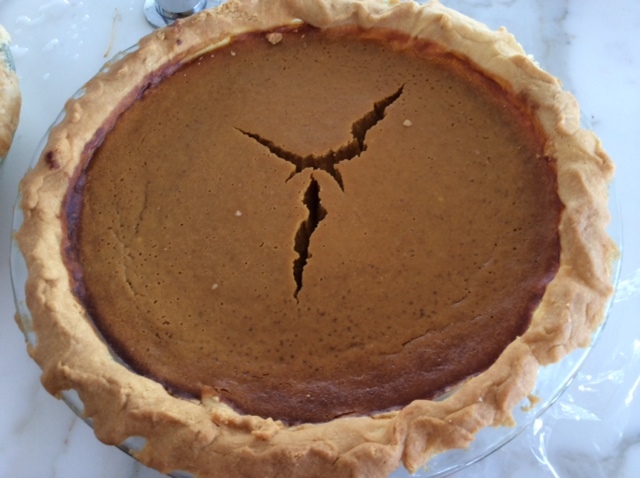 It is not unusual to have the filling crack in the middle when it cooks. Cool on a rack and then cover and chill until cold. Pumpkin pie is at its best served with some whipped cream or even ice cream. What is it? Pumpkin in a tin with nothing added. You may see it referred to as pumpkin puree or 100% pure pumpkin. It doesn’t contain sugar or spices and in my mind I liken it to using a can of chopped tomatoes versus fresh tomatoes. Using canned pumpkin saves you the time and effort involved in chopping, seeding, cooking and blending real pumpkin. Where in Australia sells it? Kate tells me that you can buy the pure canned pumpkin in Australia from David Jones and Thomas Dux.It’s only available here in large cans of over 800g (almost 2lb) so you can either make two pies with it or use the rest of the can to make pumpkin soup or pumpkin bread. Or freeze it for later use. Can I use real pumpkin instead of the canned variety? 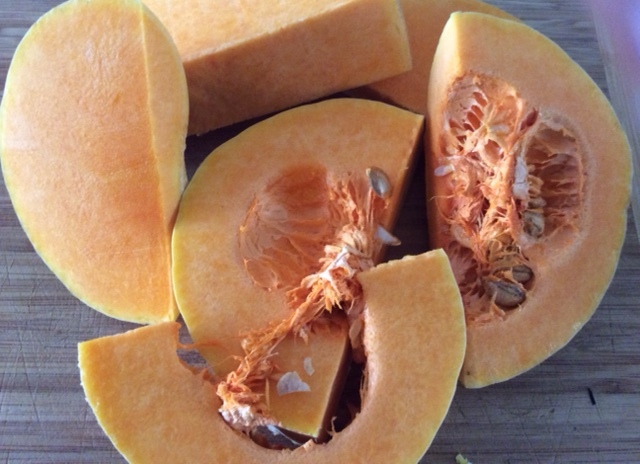 Yes but choose a Queensland Blue pumpkin – it has a lower water content compared to other varieties, and this makes it the best option for pumpkin pie. 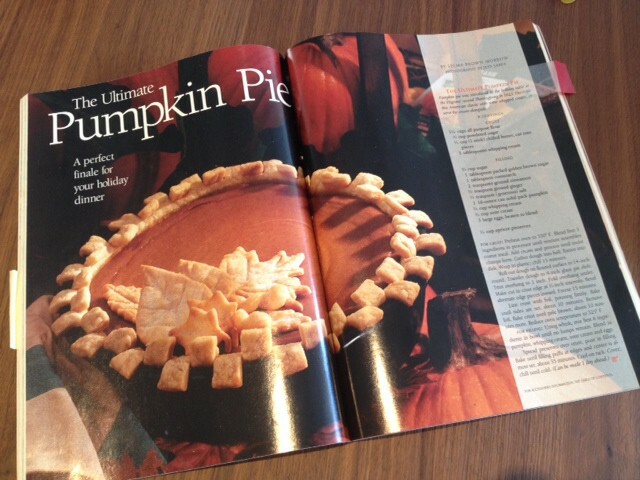 Any tips on pumpkin pie or recipes that would challenge this ultimate pumpkin pie? Then do comment here. 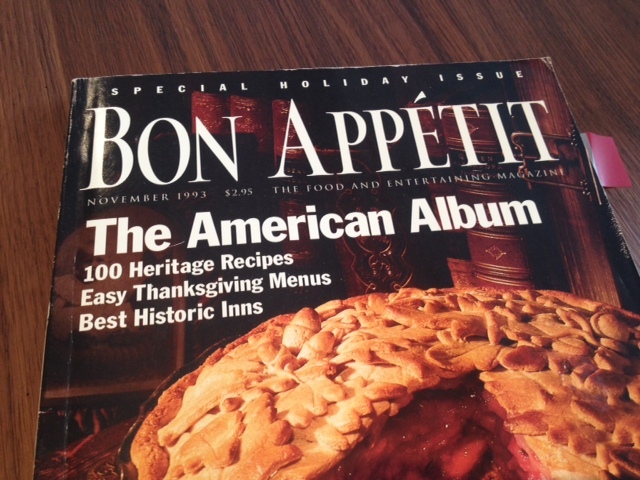 Tags: Appétit, authentic, bon appetit, easy, pie, Pumpkin, recipe, thanksgiving. Bookmark the permalink. Thanks Seana – let me know how it goes if you make it as I’m still a pumpkin pie native and am trusting my friend Kate will whip up a delicious pie for Thanksgiving. Oh and great to e-meet you too! 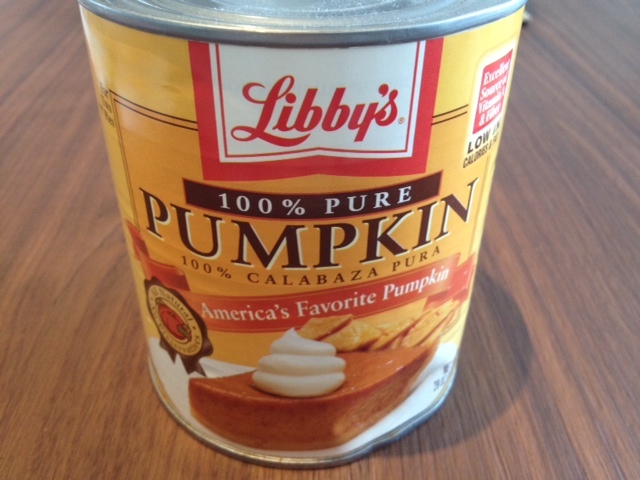 Thnaks, I didn’t know pumpkin came in a can either until my neighbour shared this recipe…..and thanks for the feedback.